Post or PM me. In the event of a trade STATE WHO IS ADDING WHAT, IF MONEY IS BEING ADDED/REQUESTED. If we're close I'll PM you. If we're hundreds of dollars off I probably won't bother wasting each other's time. No interest in old poppets. 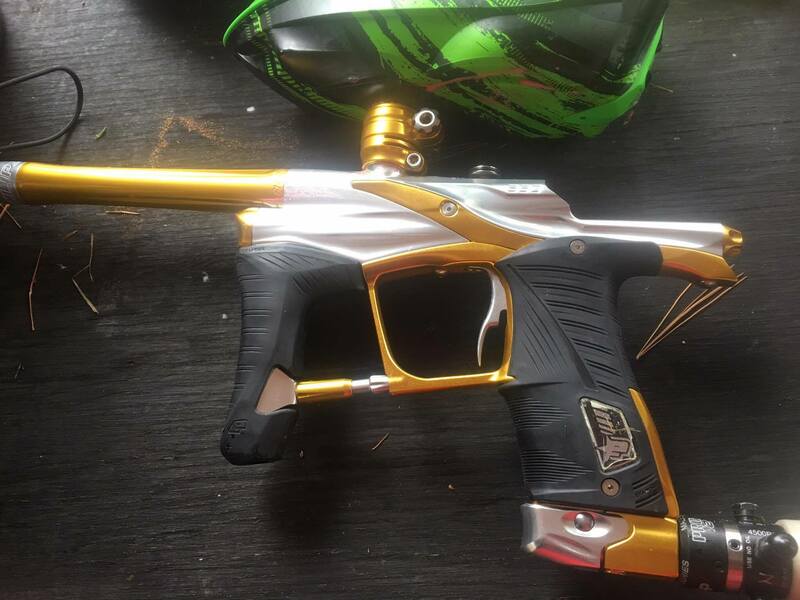 (Keep it G6R/ego11+) No interest in MacDev guns. Downgrades welcome, but be reasonable. Trades WILL BE in my favor. Decided to stick to my Twister for the upcoming season, so this one has to go. $1900 firm Trades plus cash entertained, your trade will be resold so the value will be LOW! Green with yellow fill 68 caliber 2000 rounds per box 4 full boxes and 1 3/4 full box 135$ all boxes or 35$ each individual box.